When I first met Steven and Courtney I was immediately excited about photographing their wedding day shoot and engagement shoot. Both of them were soft natured, so my creative storyboard mind allowed me to go wild with possible ideas for their wedding day. This Calgary wedding involved a ceremony at a gorgeous church where I was able to capture beautiful photos of the new bride and groom. 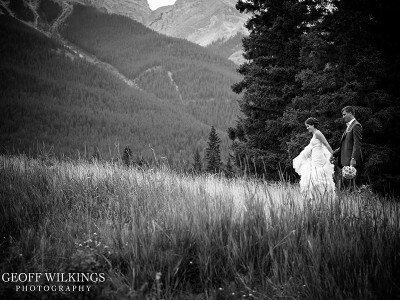 Before the the reception at the Delta Hotel South Calgary, we explored the outdoors for their creative session. 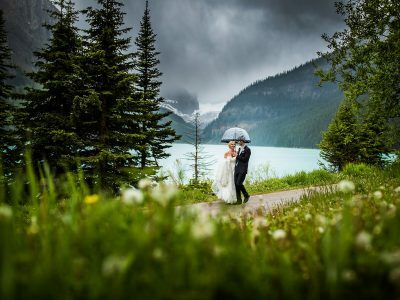 It had rained so much leading up to Courtney and Steven’s wedding day, but that morning the the sky’s opened up and I took full advantage of the right conditions. A true hot Calgary day, always brings a dynamic afternoon storm. The sky was quickly becoming a dark charcoal hue but with cracks of sunlight. I was becoming rather excited as my story board of the day was changing as the weather was rapidly changing. My plan was to hit the hills as the weather intensified. Time was pressing on and we almost didn’t go, but Courtney laced up her running shoes (which I absolutely loved) and we ran to hills so we could make it. The storm was building and the winds were coming in fast. In the distance one could see heavy rain and likely hail the size of golf balls hitting the ground. As the rain loomed in the sky, we headed higher to find more dramatic shots. We arrived at the top to find the most peaceful moments with no wind, but heavy clouds surrounding us. It brought many fantastic photos for Courtney and Steven. You don’t always get the opportunity to get shots like this on your wedding day so to have clients like Steven and Courtney who are willing to push the boundaries and go go go couldn’t make me happier. To me, wedding coverage is about the whole day’s experience and capturing outstanding photographs all day long. Thank you Courtney and Steven for making we work hard for it. Okay, back to the story, did it rain. OH YES. We ran down the hillside but not until we made it back to the limousine did the sky’s crack down on us. It was a blast being able to capture these incredible moments for Courtney and Steven. We arrived at the reception at the Delta hotel and I have to say, Lisa Laplante (Everlasting-Impressions) did a stunning job with reception design which made for a gorgeous night. Totally rocking wedding day with two amazing people. Courtney and Steven, thank you. A side note, when I get inquiries people often just ask about price and compare rates. I wish I could tell all brides and grooms what is involved with professional wedding day coverage. Gear is super important, but the talent, effort, style, creativity is crazy different from photographer to photographer. I go full out all day with as much creativity as I can possibly give my clients. By the end of each amazing wedding day is when my clients, and their family, fully understand what the coverage I produce is all about. I give everything I have to each and every client. It’s what I do! 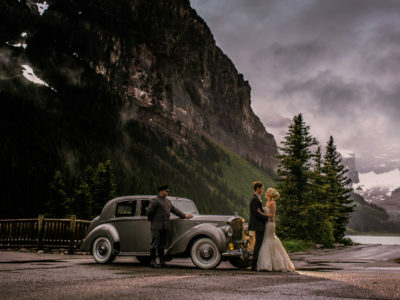 Sooooo, there’s so much more to a wedding than price, look deep into the work and explore what you want from your wedding photographer and your wedding photos. Not forgetting the end products as my clients truly celebrate their day by printing their gorgeous photos. By the end of the day (if not before), wedding clients become friends. Capturing their wedding day is such a privilege. I can’t even begin to tell you how lucky I am to have clients who will go with me to do what we do. I love it and I wouldn’t change a thing. I look forward to doing lifelong shoots with you in the future. Wow. Those clouds built so fadst it was truly incredible. Hair and Make-up creative photography. Not sure if it gets much better than this! Can you see Courtney’s wedding dress reflecting in her photo on the wall? I absolutely loved this photo of Courtney with her sister next to her. Seeing her as a young girl in the photo I thought for a few seconds how I could reflect her dress into the photo. These guys were fabulous. They were so much fun. I’m sure Courtney and Steven were thinking I’d lost it by now. The rain is coming. Running down the hill lead to some gorgeous photos. Beautiful. I watched you go 'all out' on July 30. The end result of your work is amazing. Thanks. Thanks Sharon :) It was an absolutely amazing day and I really appreciate that you noticed me going 'all out'. I really did and seeing the end photos makes it totally worth while.